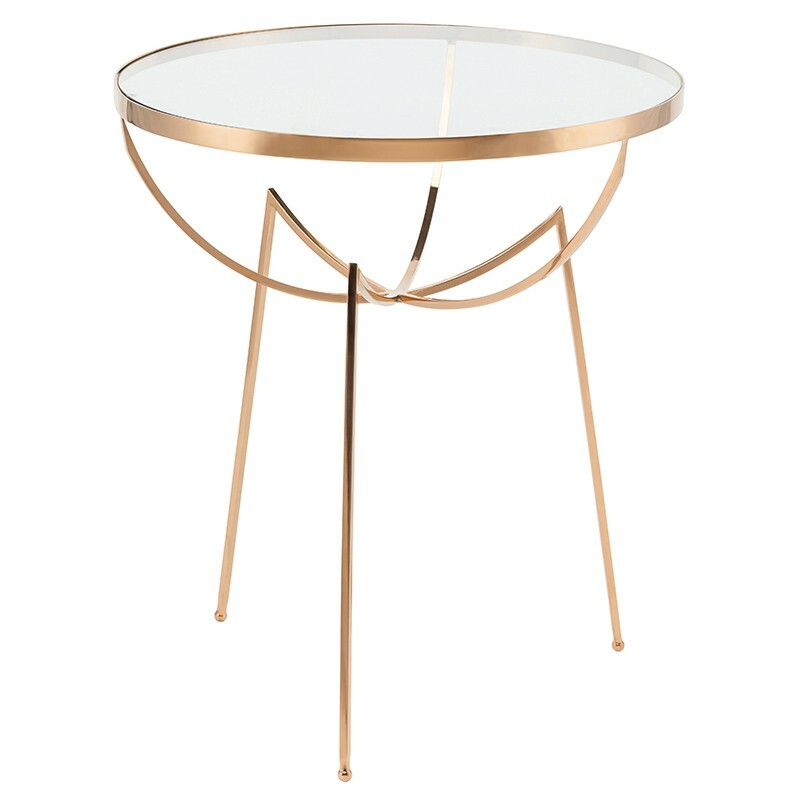 Areille side table. 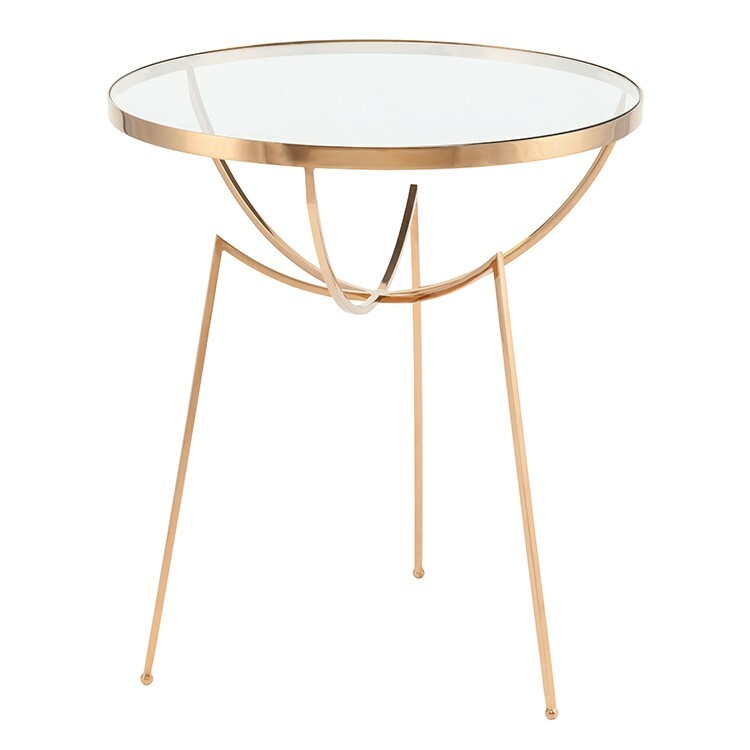 The Areille side table projects an ethereal elegance in glass and stainless steel. 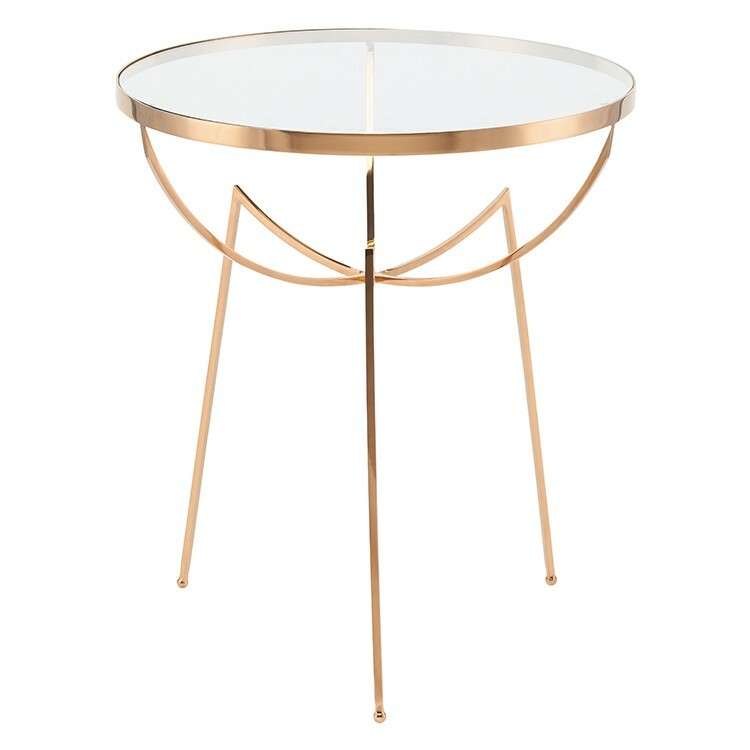 An artfully crafted pencil thin frame supports a delicate steel rimmed table top in glass presenting a light, graceful contemporary aesthetic. 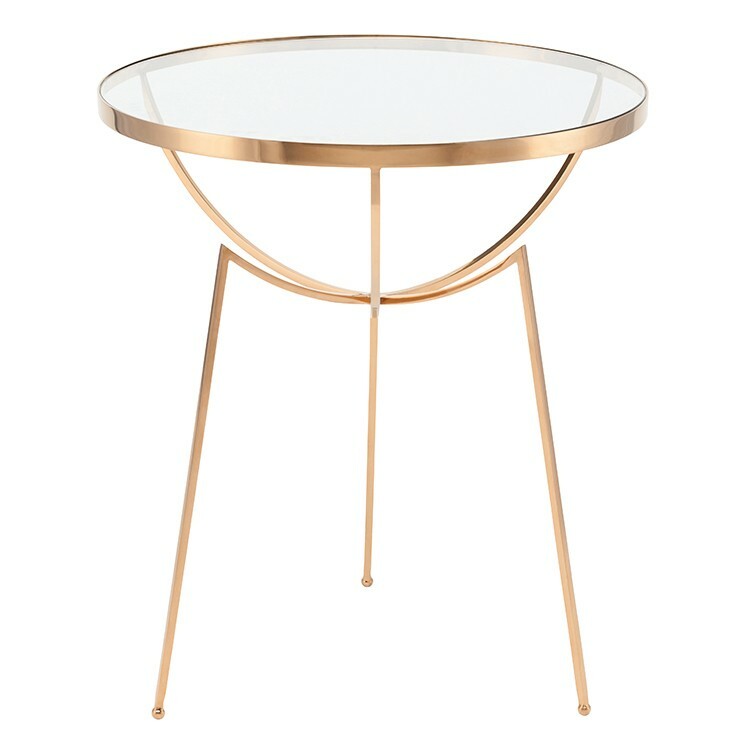 The Arielle is available in polished stainless steel or polished brass stainless steel with 3/8thð tempered glass.